Coffee and Chocolate. The Ultimate Food Pairing. Some foods just seem to be made for each other. Apples and cinnamon. Peanut butter and jelly. Coffee and chocolate. And there are some foods that, generally speaking, do not pair well together – melon and milk or butterscotch and olives to name a few. What people like and what they don’t like depends a lot on the foods they were exposed to as a child. The science behind taste perception is complex. The tongue has taste buds (about 9,000 of them) that are sensitive to salt, sweet, sour, and bitter. What we taste is a combination of these chemical signals on the tongue. But it is not a simple as that. Taste is also a combination of our sense of smell, genes, environment, our ability to taste, age, food texture, sight, and experiences. So why do some foods pair better than others? The food-pairing hypothesis is that when two foods share major flavor and aroma compounds, they are more likely to pair well together (Source: Deliciously Plated.com, Food Pairing and the Science Behind Them, Leslie Morrison, September 11, 2017). 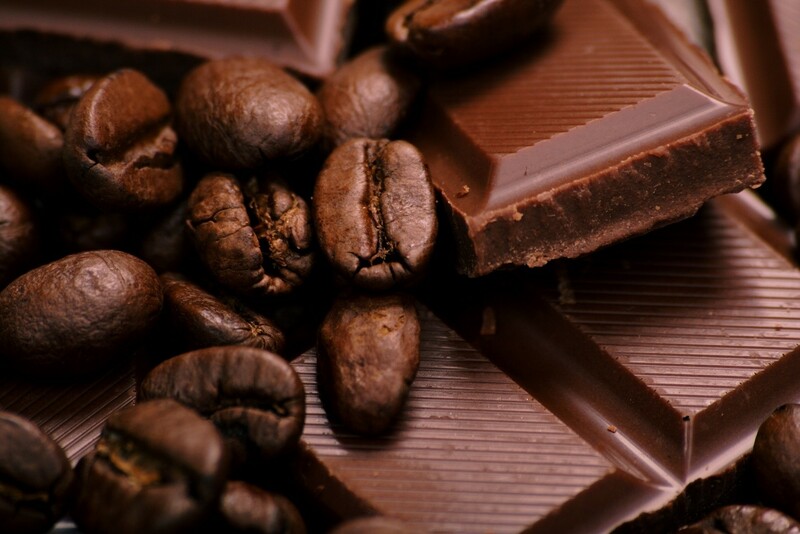 Coffee and chocolate share major flavor and aroma components so they are a natural pairing and, in particular, a pairing that is enjoyed in desserts. When baking desserts, adding strong coffee to replace some of the liquid in a recipe or using espresso powder, enhances the chocolate flavor (i.e. in chocolate cake) without adding an overpowering coffee flavor. Add to chocolate cake, cupcakes, fudge, brownies, frosting and glazes to give dessert a chocolatey boost. Espresso powder is much more concentrated than instant coffee so it only takes a small amount to get the results you are looking for. Espresso powder can be used for more than baking. Use espresso powder in steak rubs, stews and braises or simply sprinkle over a citrusy sorbet for a refreshing treat. To make your own espresso powder, simply use leftover coffee grounds or espresso grounds. Set oven to 170°F. Spread a thin layer of grounds on a cookie sheet and bake until grounds are dried and slightly crunchy. Take out of oven and cool. Using a coffee grinder, grind the grounds to a fine powder. Place in an airtight container for storage. Want a stronger coffee flavor in your desserts? Add Cold Brew Concentrate. 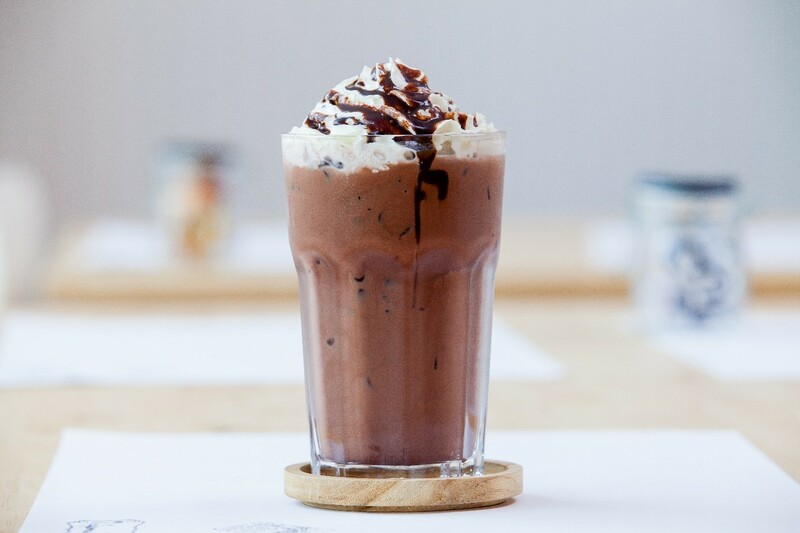 Consider adding Cold Brew Concentrate instead of strong coffee or espresso powder to desserts to not only bring out the chocolate flavor, but to also add a distinctive, delicious coffee flavor. To make Cold Brew Concentrate: Use a 1:4 ratio of coffee to water. Use a medium to coarse ground coffee and steep in an airtight container with cold, filtered water for 12-16 hours at room temperature. If you refrigerate it during the steeping process, extend the time to 20-24 hours. Strain to separate the grounds from concentrate. 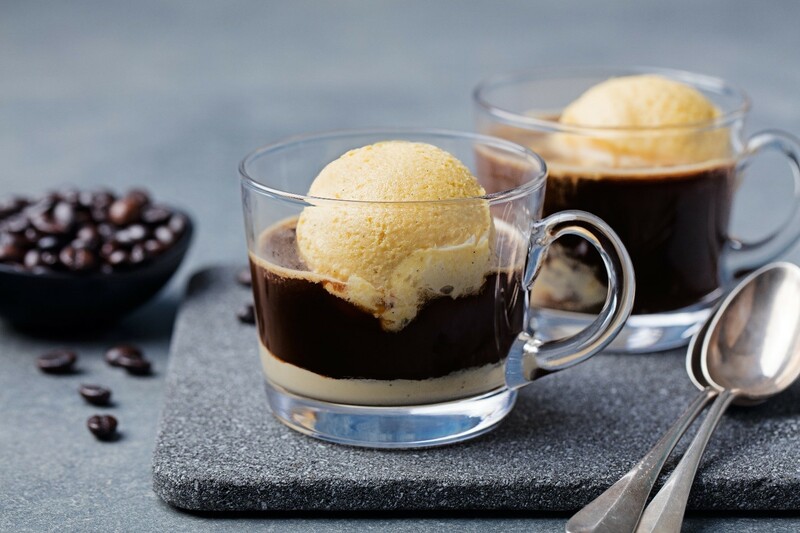 Traditionally, an affogato is a scoop of gelato topped with a shot of hot espresso. Change it up replacing the shot of espresso with cold brew concentrate. Place one scoop of ice cream or gelato in a cup. Pour ½ cup of cold brew concentrate over ice cream/gelato. Garnish with shaved dark chocolate or mini chocolate chips. Fill a glass with ice. Pour in ¼ cup of cold brew concentrate, ¼ cup of club soda, and add 1 scoop of ice cream. Drizzle with melted chocolate. Cold brew concentrate, ice cream, and chocolate. What’s not to love? Blend 1 cup of cold brew concentrate with 4 scoops of vanilla ice cream and chocolate syrup until smooth. Top with whipped cream and chocolate drizzle. 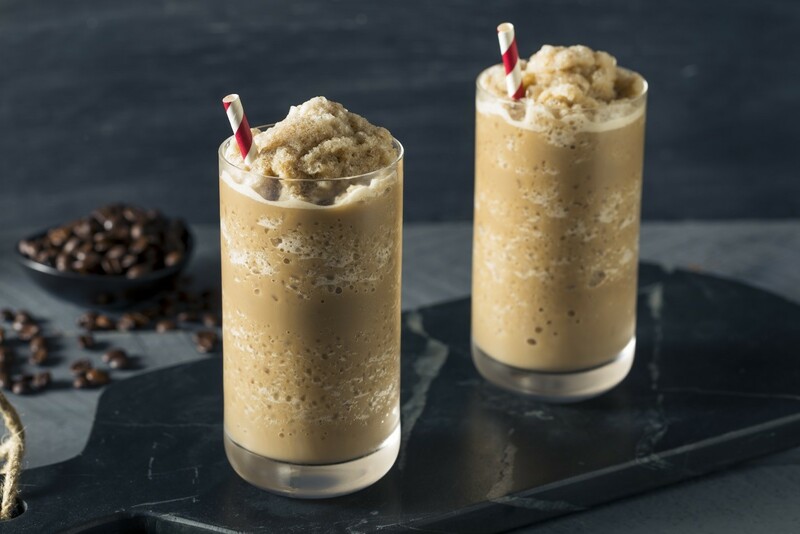 To create a Frozen Cold Brew Latte using a frozen beverage machine, simply combine approximately 1.5 gallons of cold brew concentrate and 1.5 gallons of milk or milk alternative (soy, almond, or coconut milk). Add a sweetener such as a simple syrup or a flavored syrup (10-12 mL of syrup for every 6 oz of cold brew contrate/milk mixture) and mix well. 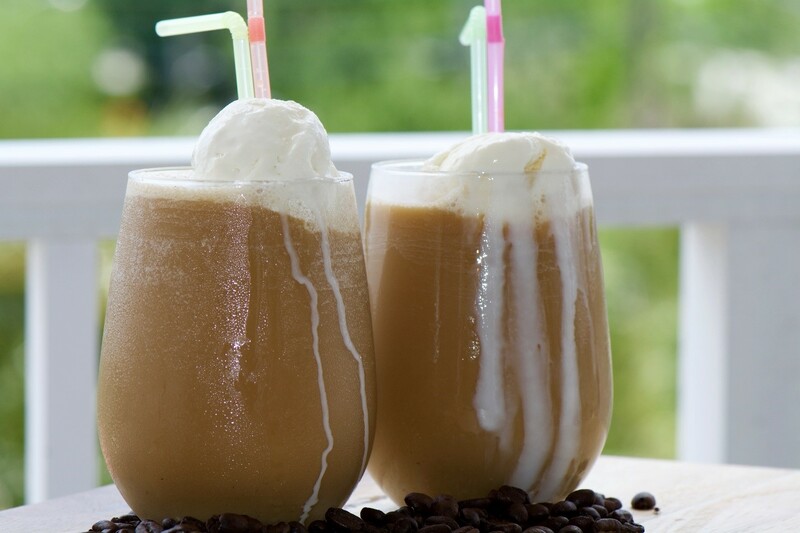 It is important to make sure the frozen beverage machine is suitable for use with milk products. To ensure proper consistency, measure the brix and adjust as needed according to your product provider. Typically, beverages need to be 11-20% sugar by weight to properly freeze.